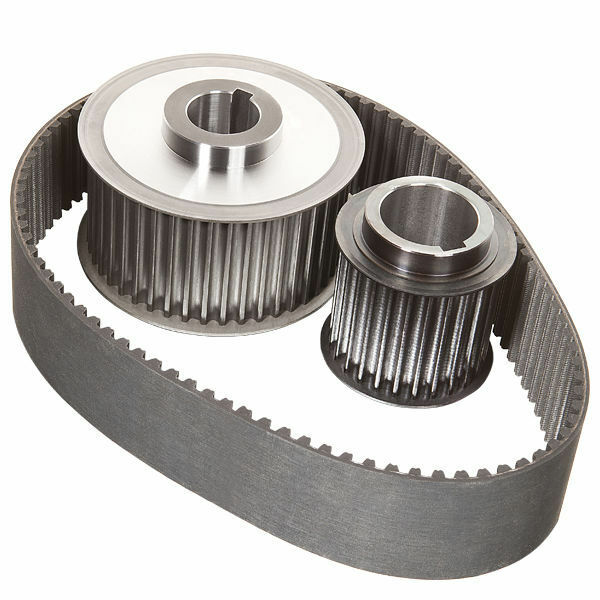 Timing belt drive represents the most modern and efficient power transmission system and is replacing the traditional roller chain and gear drivers in certain applications. The revolutionized power transmission design demands drives capable to transmit increasingly higher power to weight ratio. Such high power releases high dynamic stress condition which largely leads to belt failures such as tooth jumping, tooth shear and noise. These failures considerably affect the desired reliability, safety and noise-reduction criteria expected from the modern drives. The designer explores the possibility of best profile. The trapezoidal profile is the most common profile with low to medium power transmission requirement. he trapezoidal profile is available in T, AT, (metric), MXL, XL, L, H, XH, XXH, (inch), endless, endless welded and open length.